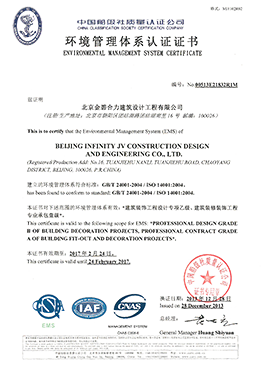 INFINITY DESIGN & ENGINEERING is an international design and construction firm that works with multinational companies to establish sustainable, on-brand working environments in China and the Asia-Pacific region. Wholly focused on the needs of our customers, we approach each project with an open-minded team of inventive, multifunctional design professionals who immerse themselves in developing concepts that inspire and equip organizations to perform better. With a closely-knit team of over 300 international experts, we design and construct office space, commercial interiors, greenfield, and factories that reflect the unique cultural, operative, and budgetary requirements of Global 500 clients from all around the world. From distinguished designs to deliberate and attentive delivery, we support large-scale projects of all types, and are well respected for the enduring quality of our wooden components, which we fabricate and assemble in our own local millwork factory. 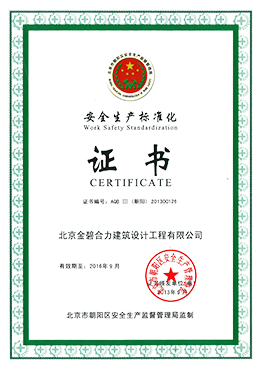 Founded in 1997, our global headquarters are located in Beijing, China, with offices in Shanghai, Tianjin, Guangzhou, Chengdu, Dalian, Hong Kong and Singapore. With deep roots in Asia, our multi-disciplinary teams of design, engineering, and project management experts are on the ground when and where you need them, delivering holistic solutions with quality, integrity, and artisanal attention to detail. 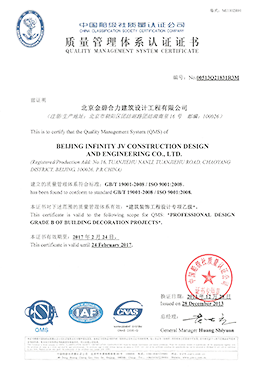 For design or construction project inquiries, please write to project-inquiry@infinity.com.cn, or visit our Contact us page for more information. 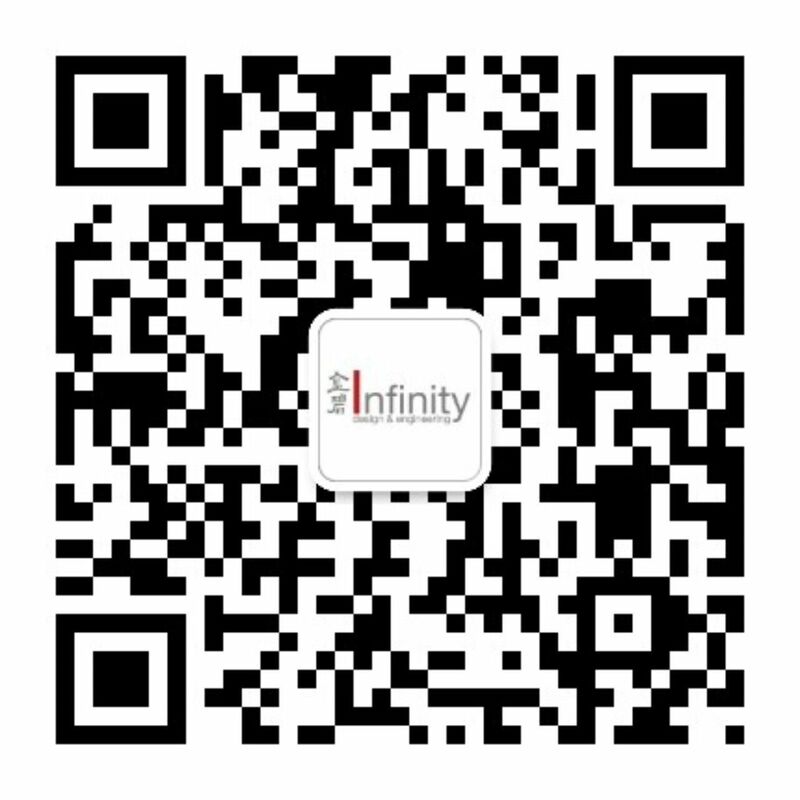 For job opportunities, please write to careers@infinity.com.cn, or visit our Careers page for more information on available positions. WE CREATE ENVIRONMENTS THAT REFLECT BEAUTY, FOSTER MUTUALITY, AND INSPIRE DIGNITY. These three tenets inform every aspect of our work. From our professional demeanor on the job site, to building relationships that endure with our clients, strategic partners, and service providers, we are devoted to continuous improvement, responsive to our clients’ needs, and dedicated to the ongoing sustainability of both our designs and operations. 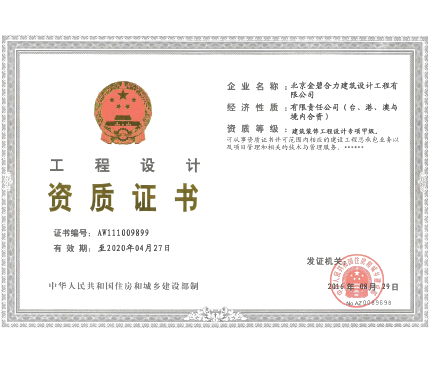 These are the mainstays of our reputation in China and the Asia-Pacific market, and why repeat appointments form the bulk of our business. To uphold its mission to create environments that reflect beauty, foster mutuality and inspire dignity, Infinity has been actively carrying out its social responsibility and devoting to public welfare events from the perspective of making contributions to the community and society. 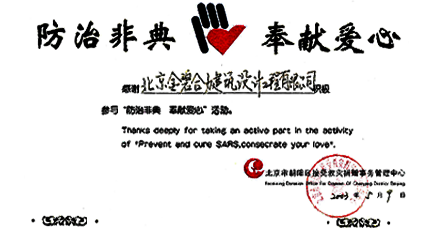 Through multi-channel such as company’s CSR management mechanism improvement, welfare donation, volunteering service, Infinity reinforces its value in providing social aid to the public, focusing on the underprivileged groups and disaster relief, etc. Continuously, Infinity has conducted series of public welfare events. Through these numerous pro bono projects, Infinity has nourished the well-established charity and public welfare system in CSR management. Towering tree must have its roots, while water encircles the mountain must have its source. The development and growth of a great enterprise must come from its long term culture accumulation and culture heritage. 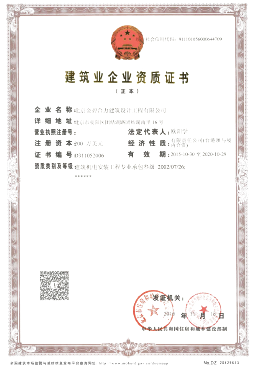 Likewise, Infinity has been focusing on cultivating the value of integrity as an important part of enterprise culture since establishment. 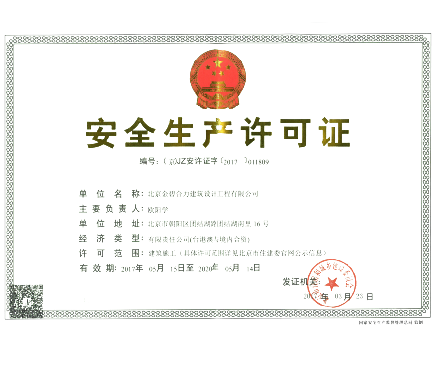 Our dedication to public social welfare also greatly influences Infinity employee, and they shared the common view that every individual person can also strive to provide service to the community and be a citizen with strong sense of social responsibility. Eagerly they’ve tried their best in offering help to the public to promote the social improvement. 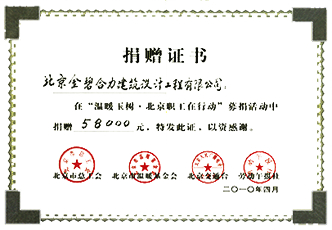 Deeply rooted in the enterprise culture, Infinity adheres to the philosophy of social benefit. 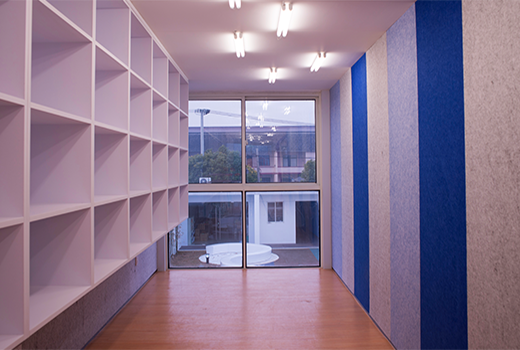 Through series of our pro bono projects in CSR arena, Infinity expresses to the public its charms of culture. INCLUDED is a non-profit organisation that aims to make cities inclusive towards migrants, and migrant children in particular. Infinity designed and built INCLUDED’s Shanghai Gucun Community Center for migrants workers’ children in 2013. It was built with reusable materials, e.g. shipping containers and laminate board. 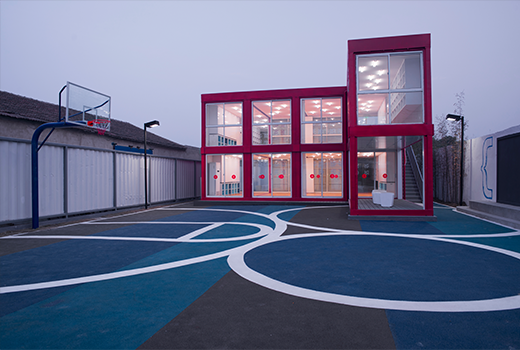 The center includes a classroom, reading room, and basketball hoop, providing migrant children with a space for education, entertainment, and attention from volunteers. 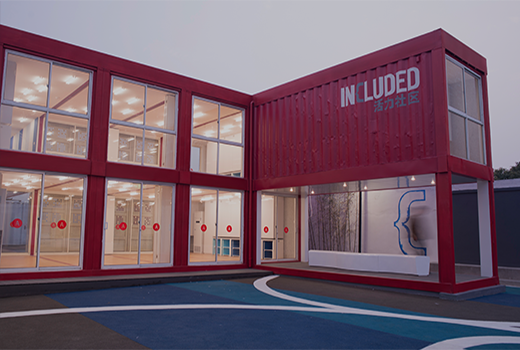 Made from shipping containers, Infinity took an inhospitable structure and turned it into an environment that truly reflects beauty, fosters mutuality, and inspires dignity. Blue Sky Healing assists orphans to receive the medical treatment they needs. In 2012 & 2014, Infinity technician provided service by repairing lighting and water pipes. 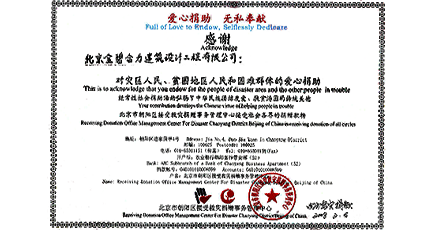 ● INCLUDED’s Beijing “The Migrant Journey” Exhibition: financed exhibition. Infinity has successfully led the design and construction of Silver, Gold, and Platinum levels of LEED-certified projects. 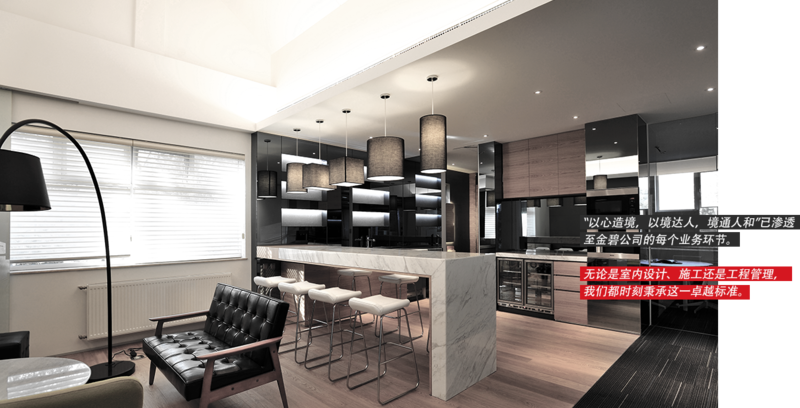 Infinity's designs ensure the best use of space, and maximum flexibility for future changes with minimum costs. 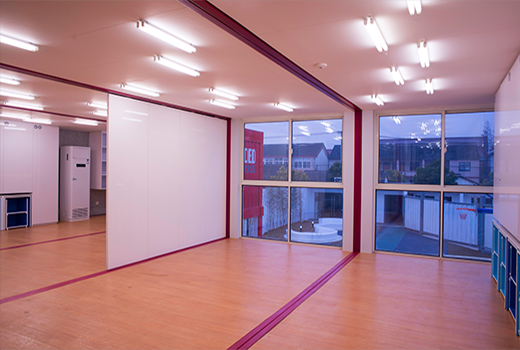 Our design teams have also the expertise in interior color matching, office furniture and material selection, as well as the basic elements of working space functions such as IT data communication technologies, electrical and mechanic technologies. 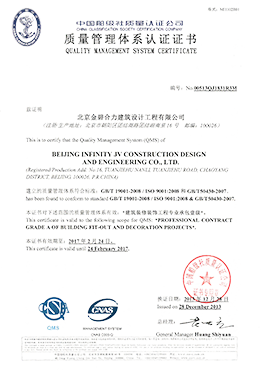 Before commencement of each project, Infinity will prepare a comprehensive construction plan entailing material and equipment specifications, methods and tools used, site safety measures and workers safety training, site cleanliness and security, master schedule including milestones and sub schedules with links to predecessors, site staging arrangements and temporary site office setup, etc..